ChristianMingle.com, one of the nation's best known dating sites for those seeking partners of the same faith, was ordered by a judge to open its online access to gays, and allowing men seeking men and women seeking women the same search abilities as heterosexuals. The suit was filed by two gay men seeking to capitalize one California's law requiring businesses to provide "full and equal accommodations" to those of all sexual preferences. A state judge found in their favor and now Spark Networks, a Los Angeles based company that operates ChristianMingle. com, as well as SilverSingles.com, BlackSingles.com and CatholicMingle.com, must open dating doors to all. ChristianMingle.com now must allow gays to use the site. Specifically, the judge said the option buttons on the sites that force users to register as "man seeking woman" or "woman seeking man" violated the Unruh Civil Rights Act and that the businss must allow for some option for homosexuals to join. The judge also ordered Spark to pay the plaintiffs' $9,000 each, along with $450,000 in attorney fees. Vineet Dubey, one of the attorneys for the plaintiffs, said in LGBTQ Nation: "I am gratified that we were able to work with Spark to help ensure that people can fully participate in all the diverse market places that make our country so special, regardless of their sexual orientation." ChristianMingle.com bills itself as a match site for those on the same "faith spectrum" seeking long-term Christian relationships. As LGBTQ Nation pointed, the site opened in 2001 and has grown to be one of the largest communities for Christian singles seeking to date. 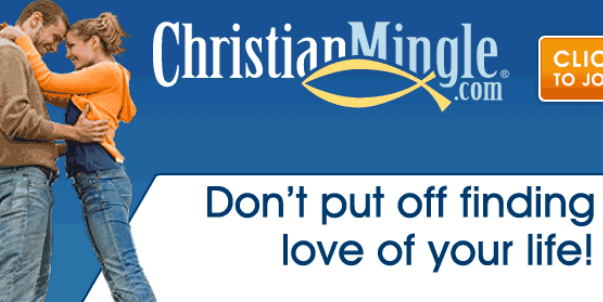 ChristianMingle.com reacted to the ruling with a Facebook post of an article entitled, "Why a Test of Faith is Something to Be Thankful For," alongside a photo and caption that read: "Trials are never fun, but it's helpful to know that God is working through them." Cheryl, it is crazy how this stuff has been escalating under Obama's Presidency int he US and all over the rest of the world! Again, your facts provide a knockout punch aka truth! I agree that Obama's really ratcheted the LGBT agenda ... and thank you for the kind words.